Cleaning throughout the year helps keep you on top of things. Because nothing beats the feeling of having a clean and tidy home. But still, your house needs that one big clean at least once a year. And spring is conventionally the best time to do it. This will free your house from the winter dust and germs. Spring cleaning is the practice of thoroughly cleaning a house, that includes carpet cleaning, window cleaning, grout cleaning, oven, fridge and deep cleaning. People usually do it annually at the end of the year. In fact, it is an excellent service to rejuvenate your house and fix up the clutters. Which apparently, could be the reason behind the use of the term “spring cleaning” for any heavy-duty kind of cleaning or organising enterprise. Just the thought of it is draining your energy, right? Like who got time for that eh? Well, leave your worries behind. And behold for help is at hand! Spring Cleaning is not a problem anymore. This high quality and thorough service are available any time of the year. 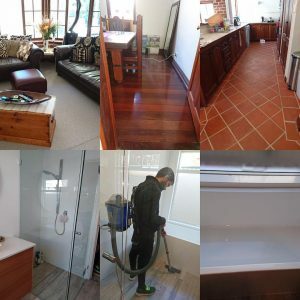 Maid in Perth has the ability and experience to do the spring cleaning job effectively. From the most obvious dirt ever displayed to your house to the almost unnoticeable dirt, our dedicated cleaners will ensure to leave no house space left uncleaned. Also, our cleaners’ background are clean with complete police clearance. They’ve been fully trained to do the job done and bearing customer satisfaction always in mind. A clean and comfortable home helps reduce stress and improve good vibes, especially if the cleaning job is done by the professionals! Furthermore, just let us know what your requirements are and we can arrange a plan to meet your needs. Make your home a home sweet home. Avoid any permanent stains or horrible dirt fixing into your home before it is too late. So, instead of worrying how to do spring cleaning of your own, leave it with us. Relax, go out with family and bond. Then come home to a much cleaner and healthier home.